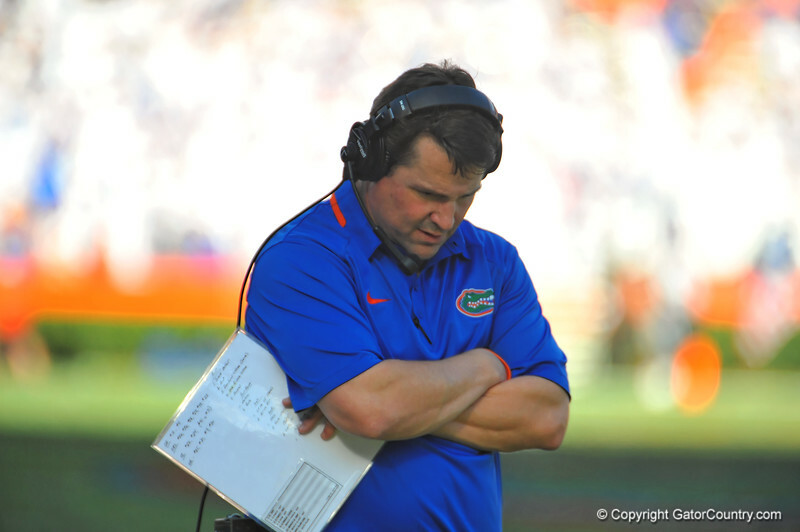 Florida Gator head coach Will Muschamp walking the sideline. Florida Gators vs Georgia Southern Eagles. Gainesville, FL. November 23, 2013.